The city of Seattle will appeal rules set last week by the federal government that seek to set a countrywide standard for how much cities can charge telecom providers to set up 5G technology for ultrafast cellular connectivity. 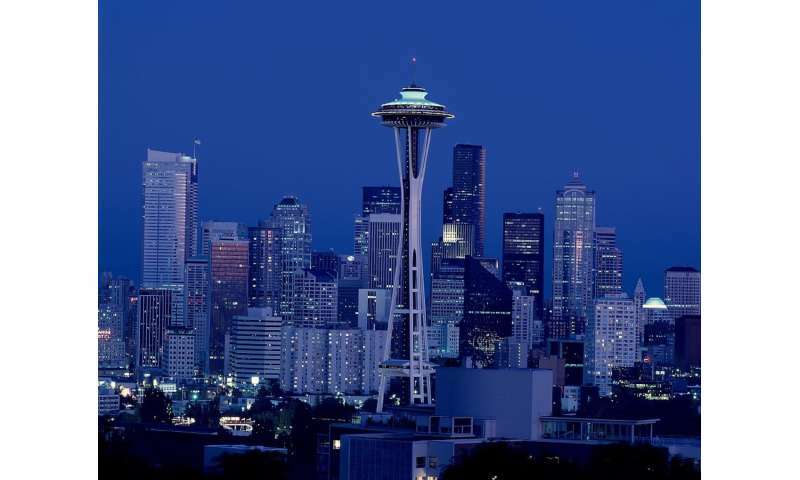 The rules from the Federal Communications Commission are an "overreach" by the U.S. government, and will force cities to subsidize private companies' installation of 5G equipment, the offices of Mayor Jenny Durkan and City Attorney Pete Holmes said Tuesday. "It impedes local authority to serve as trustees of public property and to fulfill cities' public health and safety responsibilities while establishing unworkable standards," the city said in a statement. "This will increase costs and impose an unreasonable burden on local governments." 5G technology, which is expected to bring blazing fast connection speeds to cellphones, will require companies to hang hundreds of thousands of new receiving stations on light poles and buildings. Unlike past generations of telecom technology, 5G transmissions can travel only a short distance, requiring more antennas. To keep the U.S. competitive and to ensure a broad rollout of 5G services, cities must work with providers so they can quickly obtain permits at a low cost, the FCC said last week when releasing its rules. They require that the fees charged to telecom providers are based on costs, and they set a 60 to 90 day timeline for cities to approve or reject most permit requests. But the standards were immediately opposed by mayors across the country, calling out federal government overreach and saying the FCC's proposed fee structure was unrealistic. The FCC says that in most cases, cities should charge companies a fee of $270 annually for each receiving station site—a figure that many cities say is far lower than what they charge now, and than their administrative costs. The city of Seattle, which doesn't yet have any 5G equipment installed, currently charges about $1,874 per light pole each year for companies to hang attachments. The city plans to formally appeal the rules once the FCC officially files them. Other major cities, including Philadelphia and Los Angeles, have also expressed opposition to the rules. Telecom companies are already testing 5G service in cities across the country, and compatible phones are expected to be released next year. Though the technology is advancing, it will still be a few years before its use is widespread.